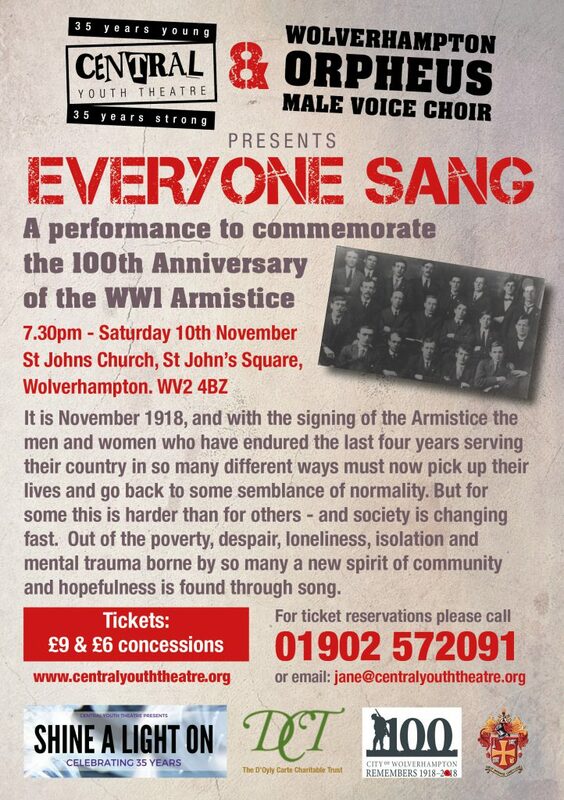 The choir were proud to collaborate with Wolverhampton’s Central Youth Theatre on a theatrical performance to help commemorate the 100th anniversary of the Armistice & Remembrance. See Express & Star Remembrance Day 2018 events. Note: Edited from article featured in Express & Star newspaper. 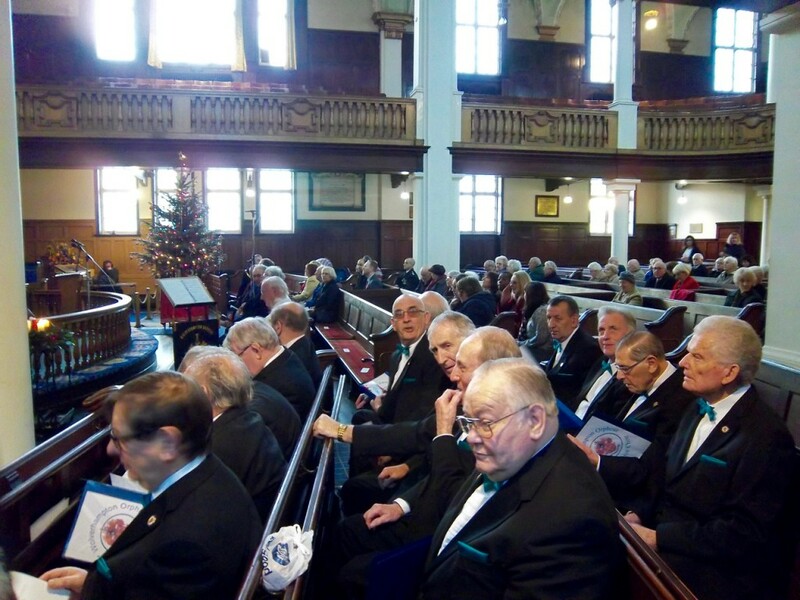 The Queen and St. George gave male songsters in Wolverhampton something to sing about. 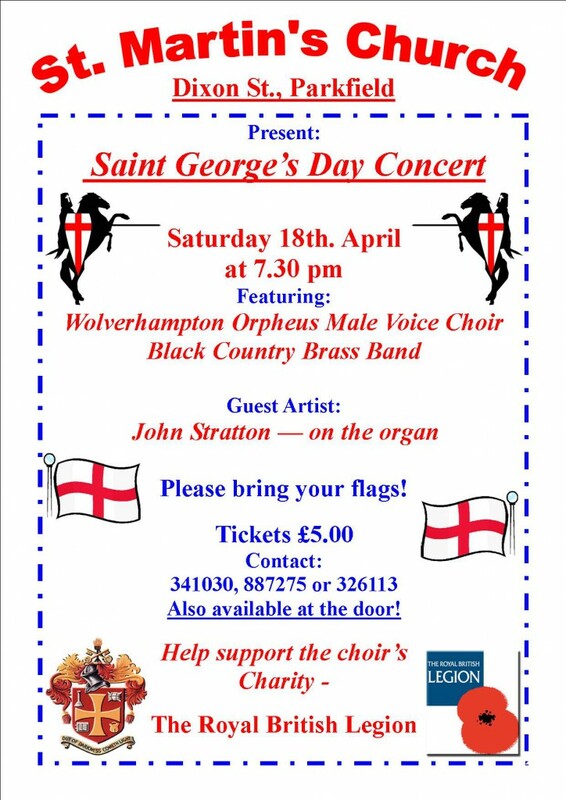 The (Wolverhampton) Orpheus Male Voice Choir were performing their first concert under their new name in a double celebration marking the Queen’s 90th birthday and St. George’s Day. 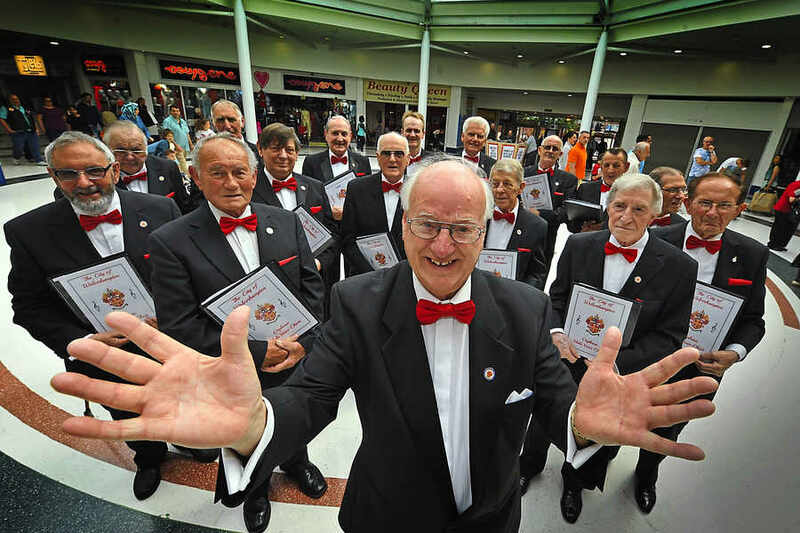 It is the first name change for the singers, who will be called “The City of Wolverhampton Male Voice Choir“, since the group was launched in 1943 to keep up morale during the Second World War. 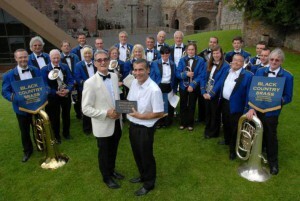 The concert, held at St. John’s in the Square Church on (St. George’s Day) also featured the Black Country Brass Band. 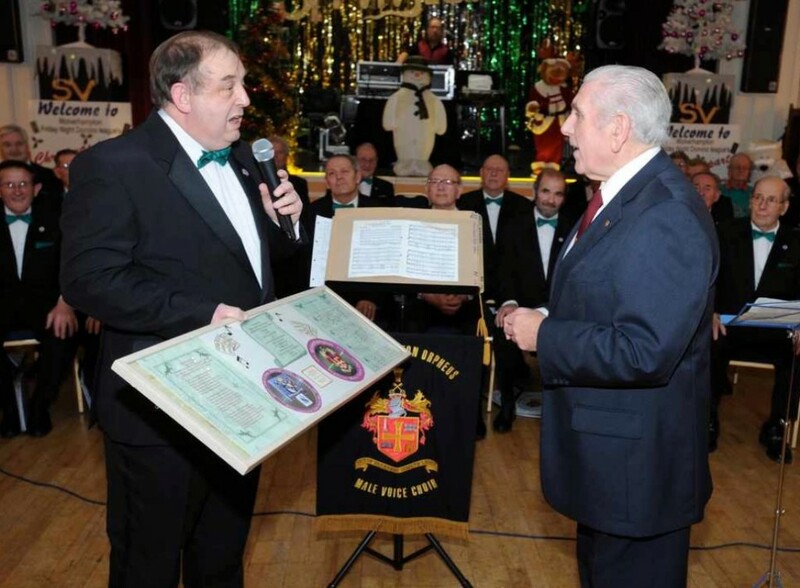 The choir celebrated a milestone anniversary of its own in 2013 that marked its 70th year. 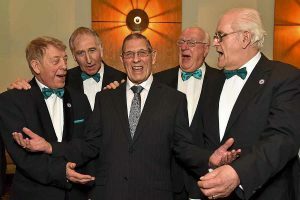 Over the decades they have toured both at home and abroad, and supported a string of charities including The Royal British Legion and the Midland Air Ambulance. The name change goes hand in hand with a switch in style and presentation as the choir look to move with the times. 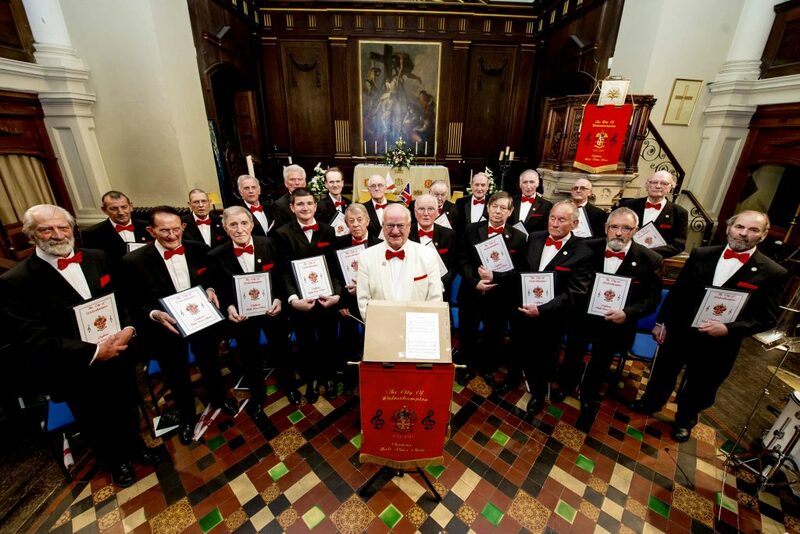 Choir vice-chairman Steve Winfield said, “Over the last few decades male voice choirs have become aware of changes taking place both in the style of music sung and the way it is performed. 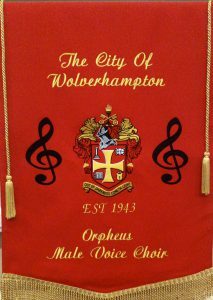 This is why our choir is changing to new pieces that are more familiar to younger audiences and adopting a new concept of performance.” He said members were delighted to be part of the official City of Wolverhampton brand after being granted permission to incorporate the title in January. 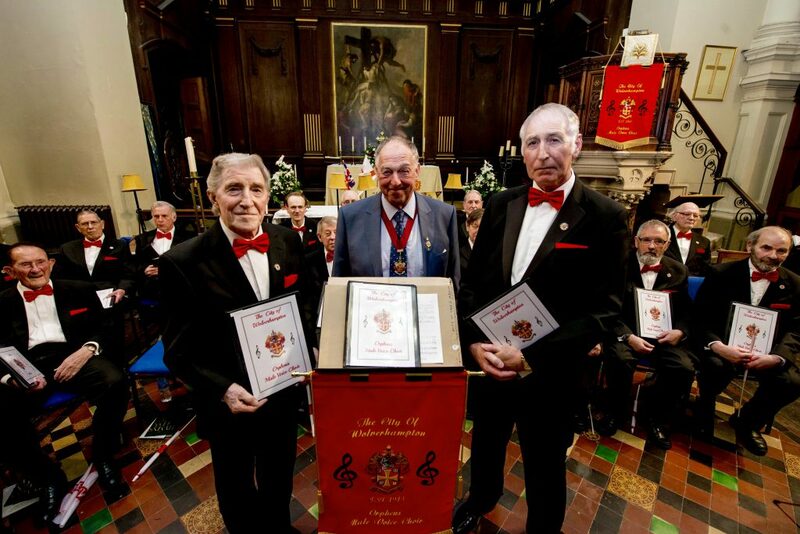 Congratulations go to Bill Blower for achieving 65 years of membership & service with the choir. Bill joined the choir on 30th January 1951. To mark his 50th year in 2001 we granted him life membership. Though we hope he’s not ready to retire just yet! 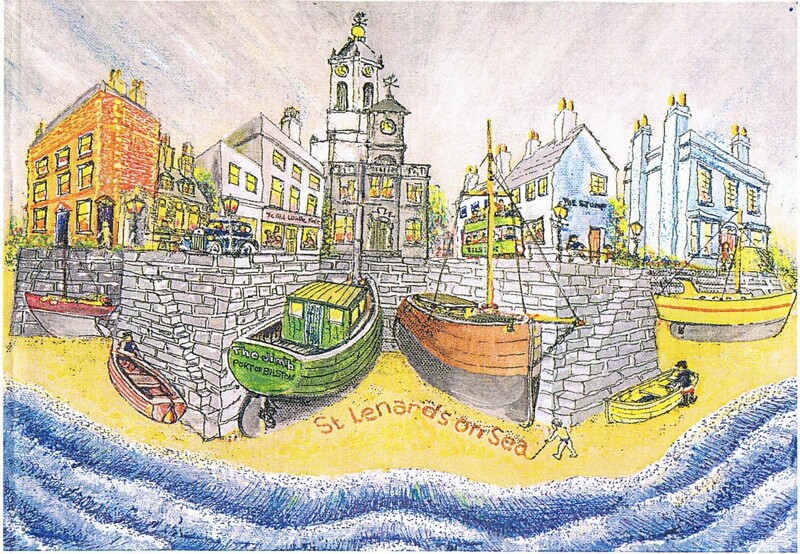 As a boy, Bill started singing with St. Barnabas Church choir in Wolverhampton. The highlight of his singing ambitions came when he joined WOMVC. It wasn’t long before his ability as a First Tenor was recognised & he became a regular soloist. Throughout his membership he served on various committees. For 40 years he worked in the despatch department of Butler’s Brewery in Wolverhampton, only interrupted by National Service in the RAF. 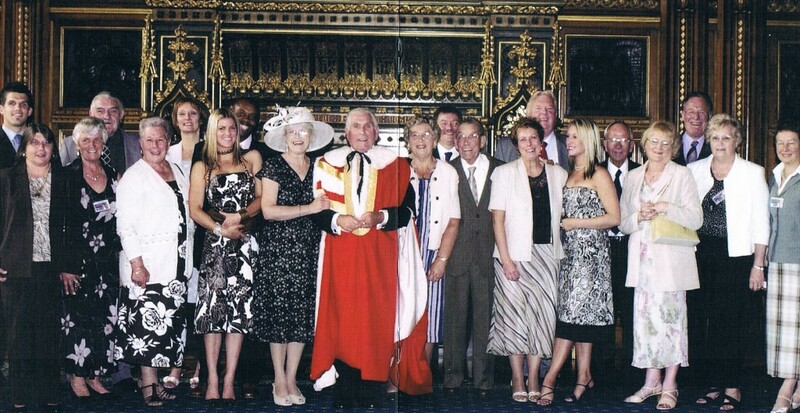 We received the sad news that Lord Bilston, Dennis Turner, passed away on the evening of Tuesday 25th February 2014. 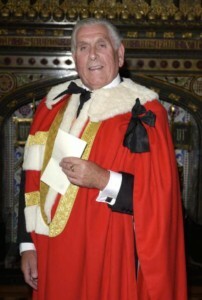 The 71-year-old served as Labour MP for Wolverhampton South East from 1987 to 2005 before being made a peer. 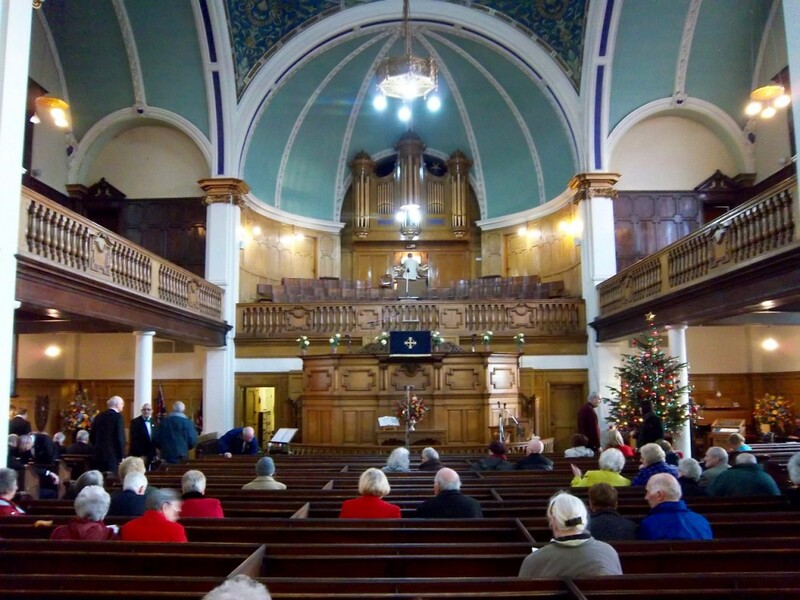 Lord and Lady Bilston have been Patrons of our choir since 2011. Fittingly Dennis was born around the time our choir was founded. (1943) He attended many of our concerts and was often seen singing along ‘unofficially’ with the choir. 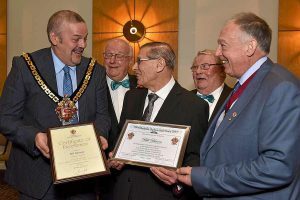 Lord and Lady Bilston also attended other events and functions and Dennis has also presented long service certificates to a number of choir members. We will miss him, but we hope that Lady Bilston will grace us with the honour of remaining our Patron. Our sincere condolences go out to his wife Pat, his brother Bert and the rest of the family from the choir and our Lady Supporters. At our St. David’s day concert on 1st March we paid tribute to Lord Bilston and stood for a minute’s silence in honour and thanks for his Patronage to the choir. 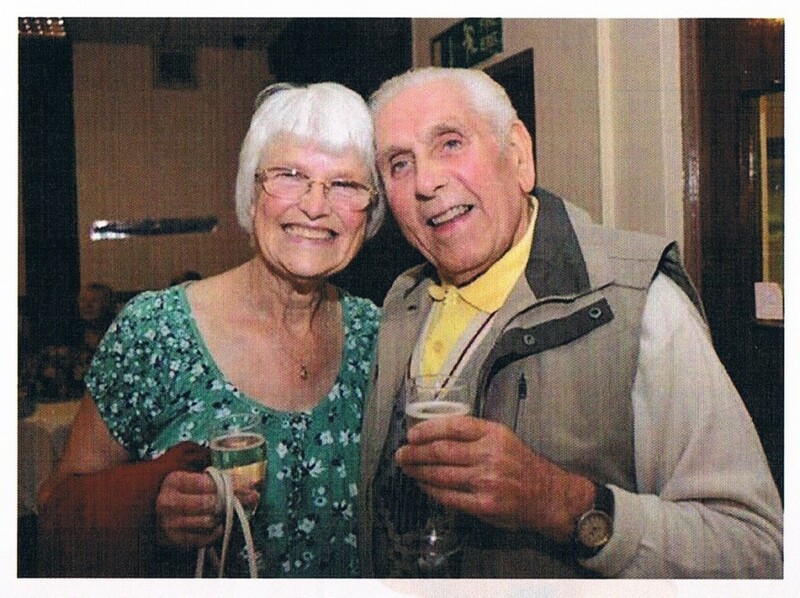 To pay our respects, the choir sang during Dennis’s funeral service at St. Leonard’s Church in Bilston on Wednesday 12th March. We sang Gwahoddiad and helped to lead the hymns. 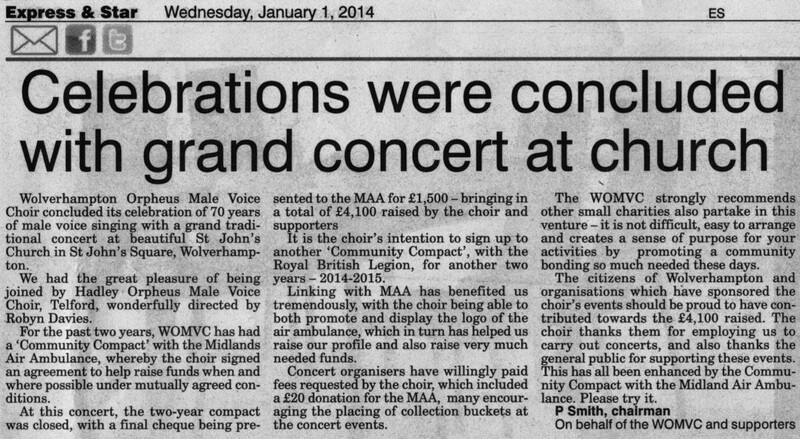 This letter was published in Wolverhampton’s Express & Star newspaper.